The healthy mind needs more than knowledge. We need spiritual practices that give purpose and meaning, realigning our souls with the greater whole. I subscribe to several services to stay current with the constant flow of new discoveries applicable to human well-being. We, as humans, have dissected life into tiny, definable bits. We can track the path of activity from body and brain regions. Some ancient philosophies have died in the face of refuting evidence, while other discoveries, amazingly, have been proven correct. The sparse and fragmented knowledge from millenniums long gone left the curios minds of our ancestors crying for meanings that science couldn’t provide. Spiritual practices filled these crevices of the unknown, granted security, and calming the nerves of people from the past. We are an inquisitive species. Our drive for knowledge serves us well. We are driven to discover. However, new knowledge isn’t always welcomed. Scientists and thinkers were routinely rebuked, censored, and even murdered for rocking the boat, by teaching alternatives to culturally accepted beliefs. Religions formed to reassure anxious people, giving purpose, and providing spiritual purposes to explain the unexplainable. Many practices customary in a religion provided hope and security. Religions, often dwelling in the unknown, attracted leaders that used their influence for evil, conspiring men manipulated, controlled, and subjugated entire nations and empires. In the name of religion, murders, rapes and enslavements have dotted our human history. "Religions formed to reassure anxious people, giving purpose, and providing spiritual purposes to explain the unexplainable. Many practices customary in a religion provided hope and security." Instead of the intended spiritual practice to bridge the gap between the known and unknown, many belief systems integrated human bias, projecting their fear of others on unknown higher powers, to justify evil, and limit enlightenment. The use of spiritual explanations, when abused, widens the gap rather than resolve our fears. Today, in the age of science, we still need spiritual practices. The more we discover, the more we realize we don’t know. We need hope and faith to guide us through a murky unknown future. We need reassurance that our wisdom is applicable in predicting how actions will benefit or harm our development. In the fog of unknowns, we need practices that soothe our systems, recharges our resolves, and prepares our souls for the courageous journey of living. Can we be non-religious, or even atheist, and still enjoy spirituality? Spirituality is concerned with the human spirit or soul as opposed to material or physical things. Spirituality extends the confined borders of self, reaching further into the universe and seeing life through a much wider lens. Religion aptly provides this dimension of living; but many practices outside of religion also tend to our souls and nourish the entire being, transcending physical knowns and giving depth to our existence. We need spiritual practices to reduce the anxiety of living. Life can be stressful. We can only pine over what needs to be done, what could have been done, and what we are doing for so long. Our thoughts eventually lose usefulness, and quickly begin to agitate rather than resolve. Spiritual practices sooth consciousness, producing harmony with experience. We may achieve this with quick escapes through conceptual adjustment, such as, “It must be meant to be,” or a few moments looking into a sunset, or enjoying a breeze on our face. These are both spiritual practices that relieve a burdened mind. Spiritual practices also can be complex and structured. Religions offer very complex spiritual practices. Among the religious, we find many that overlook spirituality. They attend church, they serve, but neglect the spiritual elements of worship--wider meaning, and deeper purpose. It is not uncommon for church groups to get lost in disrupting pettiness or destructive bias. 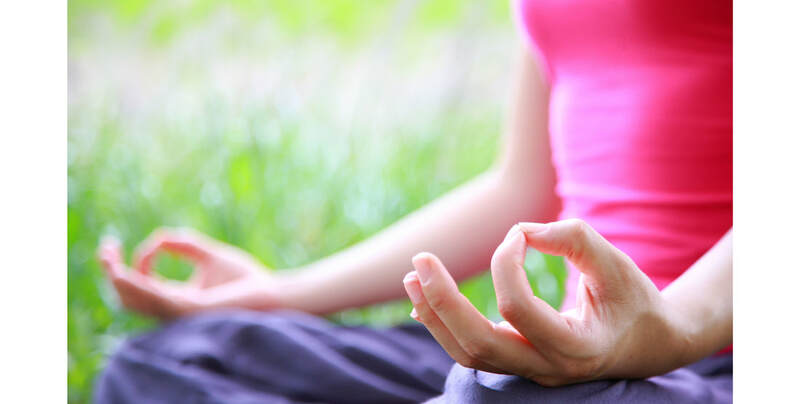 Other structured spirituality can be found in meditation, exercise, or hobbies. Each capable of providing a spiritual escape. A recent study, although the methods are highly suspect, suggested yoga, contrary to its touted benefits, encouraged more judgment. Attendees were found to be more critical of other yoga practitioners immediately following a class. Perhaps, just normal humanity. We tend to be more critical of others just after confined contact with them whether it be an exercise class, a board meeting, or a bible study class. But the opportunity for spirituality still exists. In Yoga, a practitioner that moves beyond the poses, feels the air entering and escaping their bodies, the warmth of stimulated muscle fibers, and elevated heart beats gains the benefits of spiritual practice. They enjoy a ninety-minute escape from wanderings of the mind, regain a sense of purpose, and a belonging to a greater universe. Deeper spirituality extends beyond lonely practices of escape. Our spirituality should be integrative and permeating of all that is in life. I experience spirituality as integrative and permeating all that is in life. It is an integral part of everything I do, even though I may not be consciously aware of it. I believe that the more aware we are of our spirituality the more we are evolving consciously. Conscious evolution integrates science and spirituality, body, mind and spirit, humans and their environment, psychology and ecology, individual and the wider contextual considerations. Conscious evolution integrates mindful actions, which bring forth the world. It is compatible with the science of the 21st century, which needs to integrate technology and ethics, psychology and ecology, concrete and abstract, observer and the observed, spirituality and the material world. 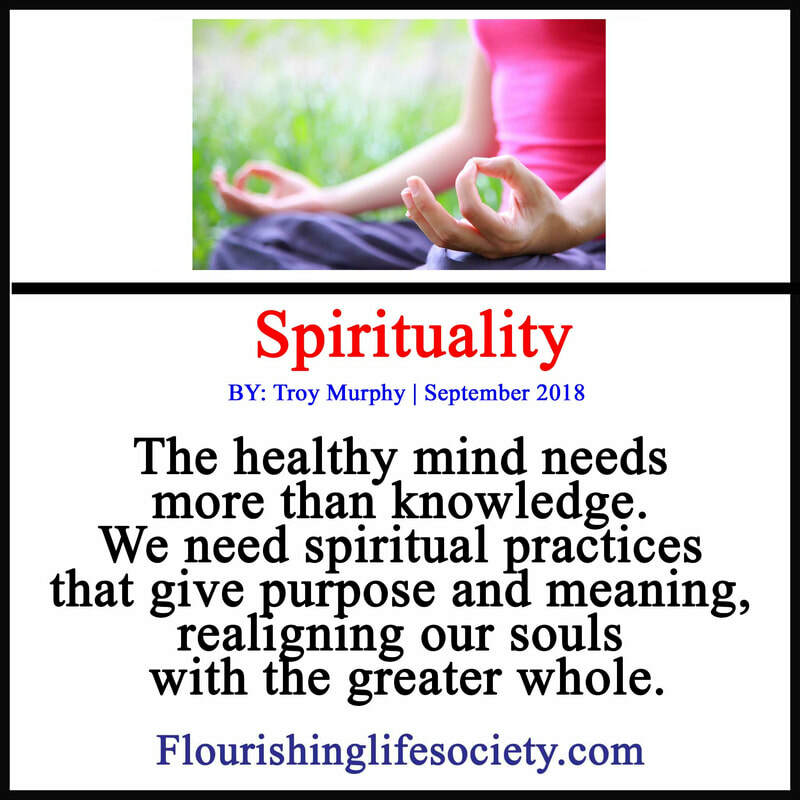 Spirituality is related to direct experience of the meaning and purpose of life, transcendence, connectedness, love and integrity. Spirituality is a pillar of well-being. We don’t escape into an imaginary world of fantasy, but a respectful acknowledgement of the unknown. We say, “yes,” to life with all its twists and tangles. We work towards psychological health, and constructive action; but also, a healthy, “yes,” to the unknowns, faithfully submitting to those things we will never know. People who are healthy both psychologically and spiritually are touched by what happens to them and others. They are impacted by events. They feel deeply, and they show it. They are not immovable or stoic about what others do or about what happens. They are penetrable. As a spiritually mature person, we are not lost in the highness of our own consciousness, but intimately connected to the whole. If our religious practices (or yoga class), encourage biases and harsh judgments, we are missing the most important aspect—spirituality. Instead of standing in awe of our insignificance in a much larger universe, we are separating and defining the self as special and isolated. True spirituality engenders more contributions to the world, less egotistical comparisons, and more peaceful acceptance of the world for what it is. Nash, M., & Stewart, B. (Eds.). (2002). Spirituality and Social Care: Contributing to Personal and Community Well-Being. London: Jessica Kingsley. Retrieved from Questia.